Temperatures are rising as D-Day, or Dale Farm day as it has been dubbed, approaches. Basildon Council have already set up a control base and a media centre for the hundreds of press expected to attend on Monday when the eviction of the travellers is due to take place [BBC]. Bailiffs are set to clear some 80 illegal plots on the Dale Farm site in Essex, England. The eviction comes after 10 years of legal fights and protests. But the eviction seems likely to go ahead despite last minute appeals. Yesterday Professor Yves Cabannes, a former advisor to the united Nations on forced evictions arrived at the site and condemned the impending expulsion of men, women and children from the site [BBC]. Several travellers say they are prepared to die rather than leave the site, but others decided enough was enough. Late yesterday afternoon a large mobile home left the site, towed by a Land Rover Defender. So far there has been little violence seen, only loud voices of protest. 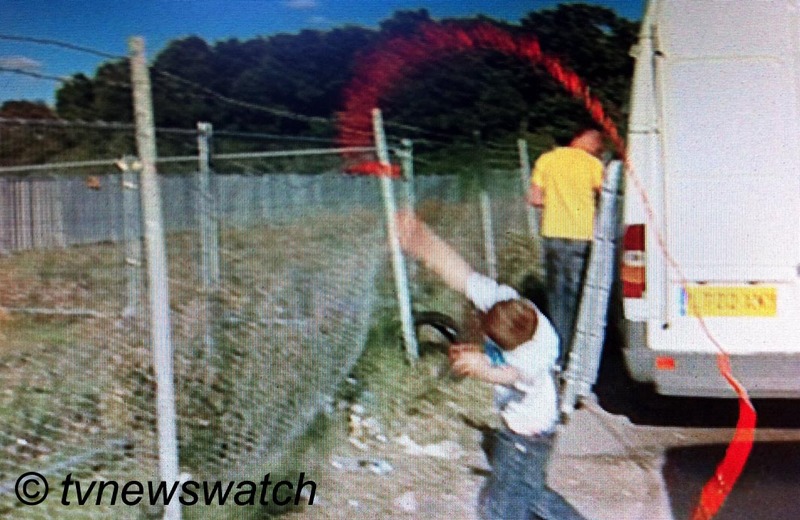 However some children were throwing stones at the bailiffs who were setting up in a nearby field. There was also a sense of nervousness when one child began throwing red paint. Some cars belonging to members of the press were splashed, though it turned out to be only water based poster paint. Nonetheless it has raised concerns amongst some who believe the site could become a war zone on Monday. Coverage in British newspapers has been extensive and national broadcasters such as Sky and the BBC have also aired reports. Monday will likely see more widespread coverage with news broadcasters expected from around the world. Channel Four in Britain is also scheduling a special programme to be air on Monday evening [Dispatches].